After almost 10 years of perfecting its corporate model, the beauty franchise is taking steps to being the next big thing in franchising. 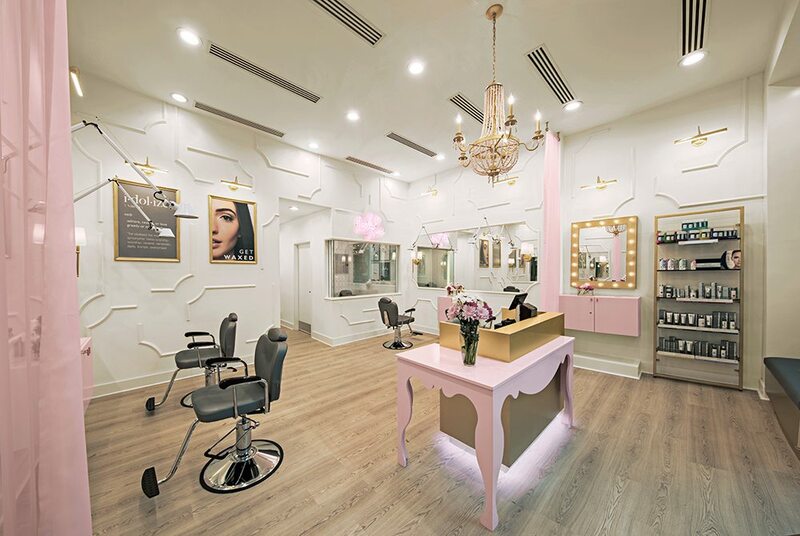 Since opening their first location in 2009, Idolize Brow & Beauty has made a name for itself in the beauty industry. As experts in facial threading, lash and brow services, Idolize is a one-stop-shop for all your beauty needs. For almost a decade the spa watched the demand for facial threading and other beauty services continue to rise, so they decided to begin franchising in 2017. With start-up costs of $95,100 – $227,170, the franchise is perfect for a franchisee looking to bring exceptional threading and beauty services to their community. 1851 Franchise sat down with founder and CEO Mo Pandoria to learn the top five reasons Idolize stands out. “We’re no spring chicken. We’ve been around since 2009 and have a great foundation for success. We launched our franchise opportunity just last year and since then there has been a buzz for our brand because we’re a unique spa that has come into the beauty franchise industry,” shared Pandoria. With six corporate locations and their first franchise set to open in three months, Idolize has perfected their business model and is ready to bring their brand to consumers across the U.S.
Idolize understands their clientele. “We offer a service that is hard to find. We also have a no-appointment-needed system which works well with the fast-paced lifestyles of many of our clients,” shared Pandoria. As the demand for facial threading becomes even greater, Idolize is poised to answer. Not many businesses understand the technical process quite like Idolize and with their walk-in’s welcome approach, they’re sure to be a welcoming addition to any community. Although their specialty is eyebrow threading, their expertise doesn’t stop there. “We’re an emerging brand with services that are approved by young and old,” stated Pandoria. The spa also offers lash and brow extensions, waxing and Dermalogica enhanced facials and is quickly becoming a trusted name in the beauty industry. Idolize understands the type of investment required to becoming a franchisee. Pandoria himself is a former franchisee of a failed system and is determined to have an open and honest relationship with his franchisees. “Item 19 in our Franchise Disclosure Document (FDD) is very detailed and transport in order to showcase all of our finances. Even during the toughest times of a recession, the beauty industry tends to continue to be successful. People like to feel good and look their best and Idolize is catering to that desire. If you want to be a part of this growing beauty trend and join a supportive, passionate team, Idolize Brows & Beauty might be the right franchise for you!